You’ve split from your fitness tracker, can you get your data back? You’ve walked your 1 million steps, dutifully logged sleep patterns, and graphed your heart rate — all courtesy of that trusty fitness band that gently nudged you into better health. But now its manufacturer has closed its doors or is acquired by someone else. Or perhaps you decide to switch to a different brand altogether. What happens to all that data you’ve put so much sweat into? Millions of customers who own a Jawbone UP activity tracker faced that question this month after learning the company was liquidating after manufacturing issues, a legal battle with rival Fitbit, and months of complaints by customers over paltry customer service. 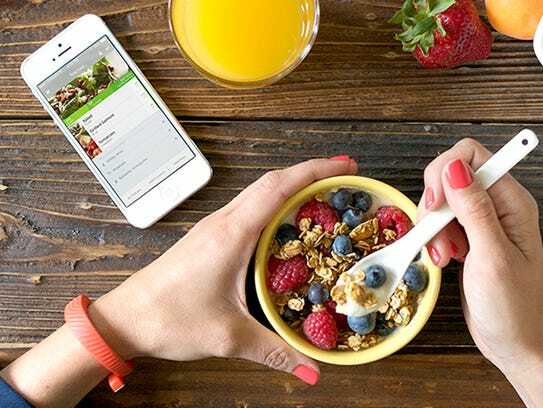 Jawbone says that in its case, a successor company — Jawbone Health — has acquired certain assets including customer data from Jawbone parent Aliphcom during its liquidation proceedings. The successor company will serve and support existing customers. The scenario raises some broader questions about this relatively young technology: Who owns the fitness health data you’ve been feeding into various trackers and apps? Can you have it deleted, upon request? And if you’re ready to move on (or are forced to), how can you get it back? In the case of Jawbone, the new company — Jawbone Health, headed by Jawbone co-founder and chief executive Hosain Rahman — says all customers have to do is ask. “Jawbone will delete such personal data upon request of the customer because it is the customers’ data,” the statement reads. To request for your data to be returned to you and/or destroyed, customers can send an email from this site: jawbone.com/contact. When it comes to transferring your data from one fitness tracker company to another, keep in mind the information may not easily import into the new app. There are some public forums that discuss importing Jawbone data into Fitbit, for example, but the success appears to be mixed (often requiring a third-party app as a middleman). 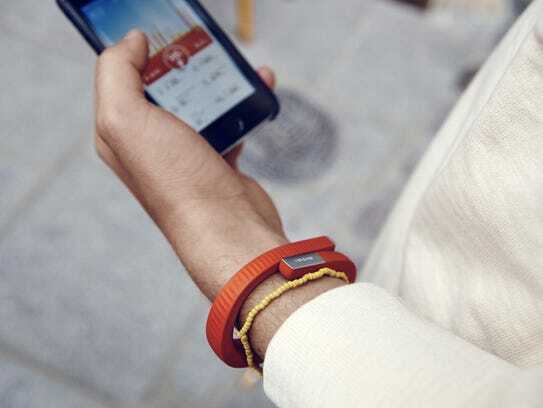 Jawbone’s situation is a wake-up call for consumers to check their fitness tracker’s terms and conditions, particularly what they say about sharing data. “Fitness trackers like this are a goldmine for useful personal data, which can be used in a variety of different ways,” cautions Christopher Dore, a Chicago-based partner at a consumer protection law firm Edelson PC. A second concern, says Dore, is most of these devices have the ability to track your location. “A company can learn your daily habits, see what stores you go to, where you drive and easily figure out where you work or live,” he adds. In this sense, it’s similar to many smartphone apps, which also use GPS mapping to make tailored suggestions. A lesson to be learned here? Be wary of what you’re freely sharing with tech companies, whether it’s a social media site, wearable gadget, or mobile app. We don’t often think about sharing data because we enjoy the convenience benefits, such as apps that provide geolocation services. “If you want to order a taxi or get a cup of coffee, it’s much easier when the app knows where you are instead of having to type in an address,” concedes Goldstein. When it comes to fitness trackers, this “captured data” can provide useful motivation to sleep or exercise more. “There’s a reason why we all do it: We give data for convenience and value,” says Goldstein. But there’s a trade-off — and a risk that companies will turn around and use that data for a purpose the customer didn’t think about when signing up. Recently, bankrupt RadioShack proposing to sell customer information to raise money and repay creditors – until the FTC (and later, the courts) stepped in. Last week iRobot – the company that makes the iRobot floor vacuuming robots – hinted at selling data collected by maps of your home’s layout. That places the burden back on the customer. The first fitness step to take? Before tapping “accept”, take a long, leisurely scroll through your app’s or gadget’s terms and conditions.